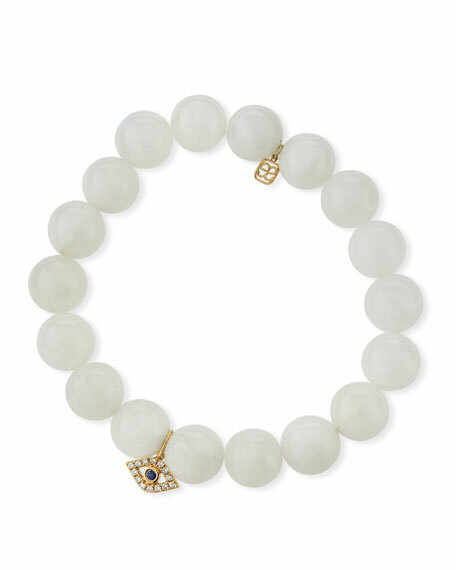 Sydney Evan evil eye and moonstone bracelet. 10mm smooth white moonstone beads. Diamond and sapphire evil eye charm. 0.04 total sapphire carat weight.